For Rhode Islander Brenda Bennett, who toured as a vocalist with Ken Lyon and the Tombstone Blues Band in the 1970s, as well as nine-year old Nolan Leite, of Pawtucket, Sunday night’s Rhode Island Hall of Fame ceremony was a thrilling, emotional event. The show, which took place at The MET in Pawtucket’s Hope Artiste Village, welcomed a sold out crowd of 515. The state’s most acclaimed artists, including John Cafferty and the Beaver Brown Band, Roomful of Blues, Ken Lyon, as well as five other acts, were inducted into the Hall of Fame. In addition to Beaver Brown, Roomful and Lyon, acts such as Gerry Granahan, Anders & Poncia, Oliver Shaw, Eileen Farrell, and Dave McKenna were also inducted. For Bennett, seeing Lyon inducted was special. But, she said witnessing Thom Enright honored as MVP of the evening was touching because she was a close friend of his and toured with him in the past. Sadly, Enright, who battled brain cancer for four years, died last week. However, he was a triple inductee, as he played guitar for Beaver Brown Band, Roomful of Blues and Tombstone. Bennett said she met Enright a couple years before she entered the music scene. She lived with him and a few other friends in an apartment on Beacon Street in Boston, not far from Fenway Park. In the 1970s, Bennett toured nationally with Lyon’s band and got the opportunity to open for legendary acts like Aerosmith, Queen and Mott the Hoople, to name a few. These days, after taking a 15-year hiatus from the music industry to raise her son, she is making her way back into the business. Recently, she released an album A Capella, and hopes to book shows in Rhode Island during the late spring or early summer to promote it. Right now, Bennett said, booking performances are in the infant stages. Influenced by Patsy Cline, Keith Urban, Vince Gill, Joni Mitchell, even Ray Charles, Bennett described the album as an eclectic mix of music, including country, folk and jazz. Like Bennett, Leite, a third grader at Nathanael Greene Elementary School in Pawtucket who plays guitar, bass, drums and piano, loves music and enjoyed the Hall of Fame ceremony. For him, seeing Roomful of Blues inducted was a treat. “My mom and dad went to their concert and gave my parents a CD to give to me,” he said of his mother and father, Brenda and Daniel. Each Sunday, Leite performs at the MET in open jam sessions. With each week, he said he gets the chance to improve his skills. “People say I’m getting better every week and I’m not as shy anymore,” said Leite, who first picked up a guitar when her was five and formed a band, Steel Dragon, with his friends. His parents get a kick out of seeing him play for crowds. Both Leite and Bennett said the Hall of Fame show, which was put together by a board of nearly 20 members, was a great time. They feel it’s important to tribute the artists because they help make Rhode Island more well-known. Sunday’s event included performances by the Dave McKenna Tribute, Roomful of Blues, and the Beaver Brown Band. 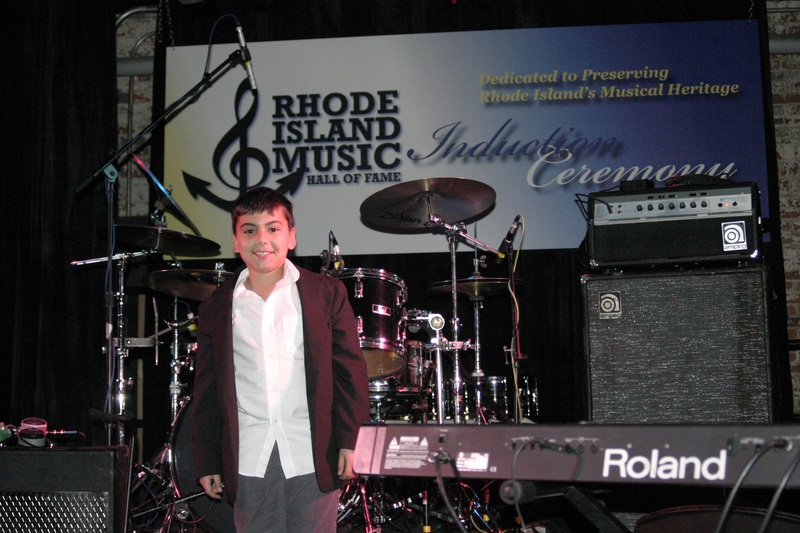 For more information about the Rhode Island Music Hall of Fame, visit rhodeislandmusichalloffame.com.